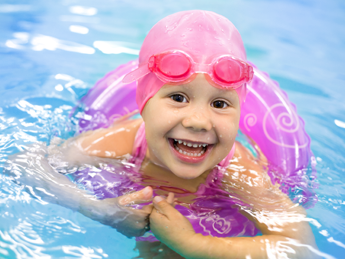 Aquatics facilities in Greenwich, Connecticut, need to be using all the proper safety protocols and can only benefit from an evaluation of their aquatics programming. Our aquatic consultant specializes in reviewing your new or existing program to ensure that you are taking advantage of all your available resources. We instruct you on how to improve your current program, and we will also evaluate your staff on request. The size of your program doesn't matter; you could be a community pool, health club, or even a hospital! Our professionals help you run your program smoothly while maintaining the education of your skilled employees. While our consulting services may be able to provide you with all you need, we are happy to provide our professionals directly to your facilities. We can provide lifeguards for pool parties, swim instructors to teach at your location, and so much more! Our understanding of the industry is unparalleled, as we keep our knowledgeable staff updated and trained on any current certifications in the aquatics world. 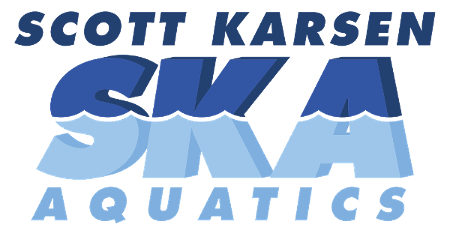 Each of our team members has a minimum of five years of experience in all swim levels and abilities, so you can trust us to supply you with skilled staff tailored to your program's needs. Contact us today to receive an estimate for either our consultation services or the services of our aquatics programming staff. Generate profits through implementation of innovative and exciting programming ideas. Schedule for maximum use and income. With pool space always being at a premium, it is a must that maximum use be obtained to generate optimal revenue. Evaluate all current program offerings. Assess your needs by conducting demographic studies and patron surveys. Decrease overhead costs through use of contractual arrangements. Develop staff incentive programs to increase class sizes. Review administrative cost controls such as record keeping and refund policies. Ensuring your website is always accurate and up to date. Development of eye catching promotional brochures. Creation of overheads, slides, posters, computer generated graphics, or videotape for use in your advertising brochures or presentations. School and camp groups and assemblies. Educating your boards of directors (if applicable). Employees (A great resource that is overlooked and NOT used enough). Conducting of off–site class registration sessions. Patrons/Members become disinterested because nothing new and exciting is happening at your facility. Assistance is provided with offering some of the following innovative programming ideas and special events at your facility. We’ll help you to generate income, increase your visibility in the community, and draw new members to your facility. Underwater hockey, soccer or football tournaments. Inner tube water polo/basketball competitions. Holiday themed parties –– anything from tinting your pool water green for St. Patrick’s Day to underwater Easter egg hunts. Water game carnivals for children or adults. Stroke clinics (Video of swimmers strokes). Triathlons - Trainings, practices, events, club. Aquatic fitness clinics or competitions. Rules for facility use and safety. Lifeguard, Water Safety Instructor (WSI), or staff manuals. Safety materials, literature and posters. Publications, newsletters, advertising, or public service announcements. Develop and administer qualification tests. Help you evaluate candidates and select finalists for the position. Evaluate surveillance techniques and supervisory practices. Discern whether lifeguards are readily identifiably and appropriately dressed. Determine if guards are properly trained and practiced in the most current uses of rescue equipment. Review your safety system design for efficiency and effectiveness. Review and/or implementation of Emergency Action Plans.